Want to own an awesome supercar owned by an action star? 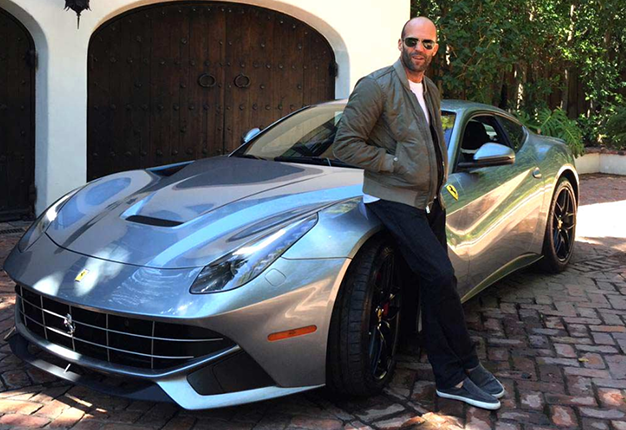 Why not purchase actor Jason Statham’s Ferrari F12 Berlinetta recently up for auction. The 2014 supercar will go under the hammer for the equivalent for R3.3-million. According to The Blast, The action star handed the keys over to Richie Rich auctions to be sold to the highest bidder. Besides being in excellent condition, it also features a host of special order fabric interior and carpeting in added extras to the value of around R1.8 million ($130 000). The Berlinetta produces around 545kW from its 6.3 litre V12 engine and runs the clock from 0-100km/h in just 3.1 seconds.